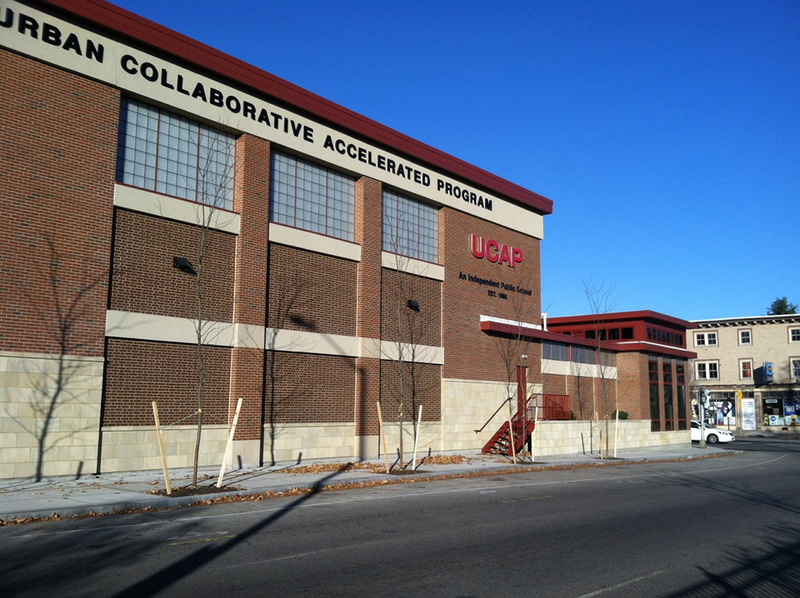 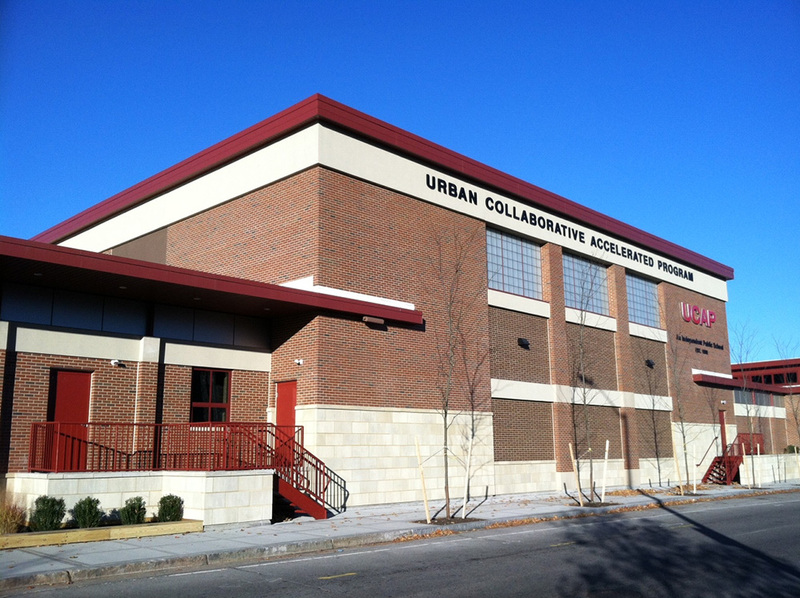 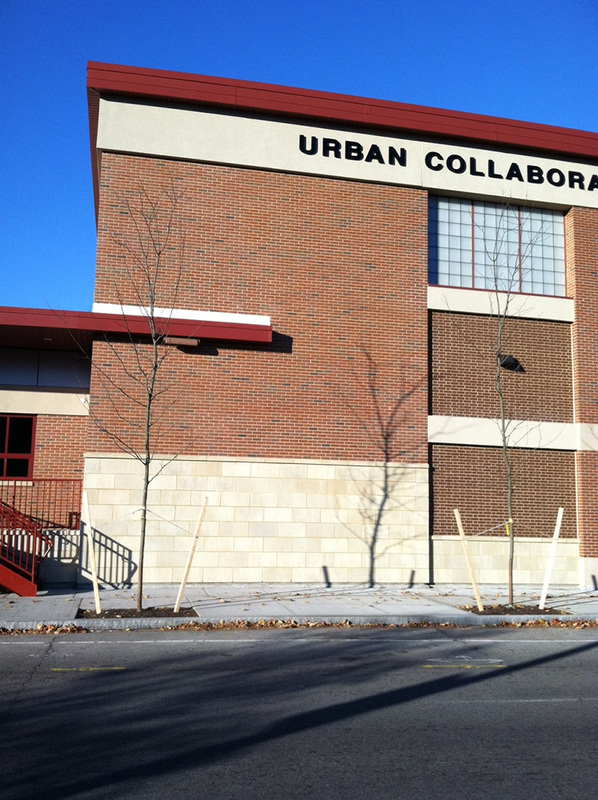 Founded in 1989, The Urban Collaborative Accelerated Program School is an alternative independent public middle school in Providence dedicated to reducing urban student dropout rates. 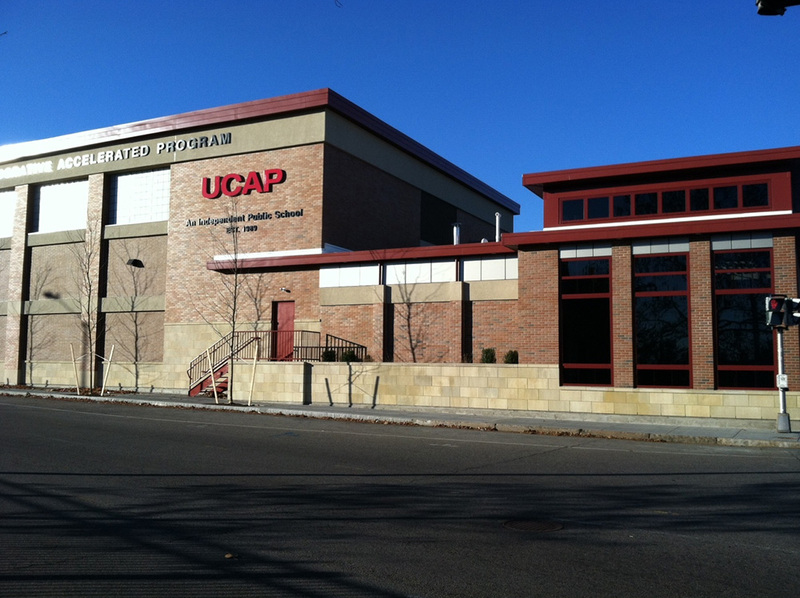 Saccoccio and Associates Architects teamed with DiPrete Engineering to demolish several auto service buildings to make way for expansion of the existing school. 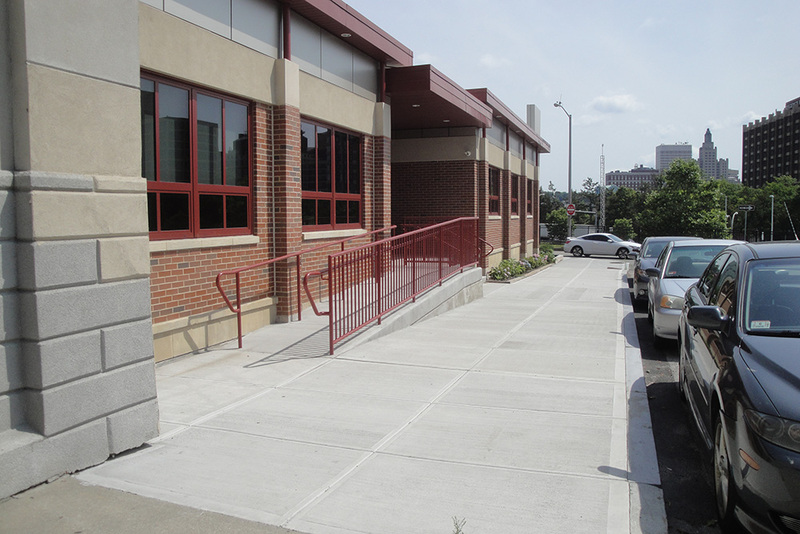 To fit in with the urban fabric, the new building fits the entire lot and does not have any surface parking. 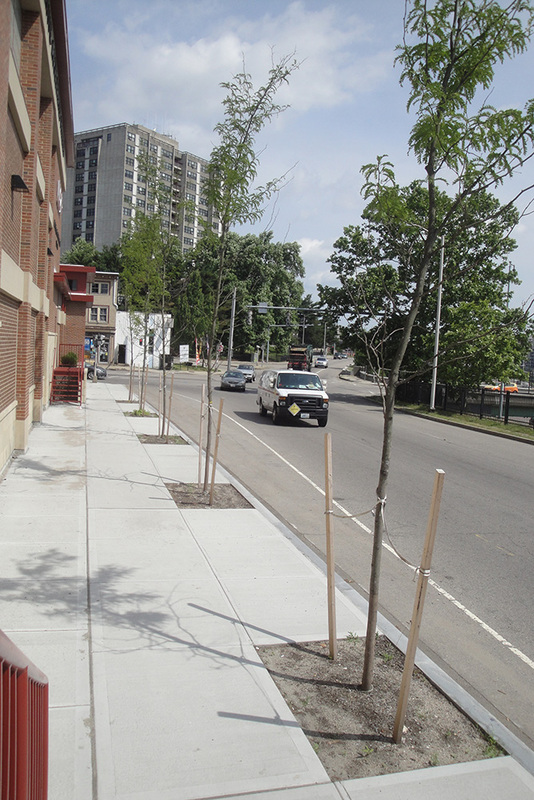 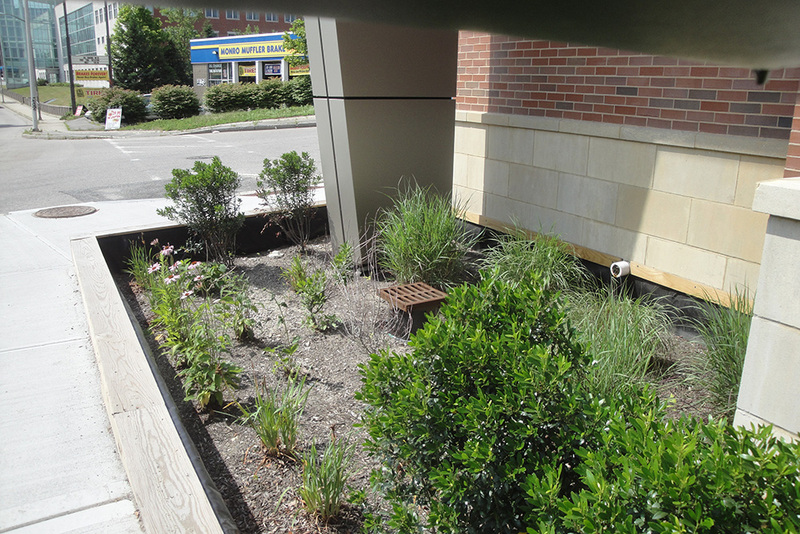 Site engineering for this redevelopment project included stormwater quality design for the new roof runoff using bioretention cells.